They say don’t judge a book by its cover. I’ll judge a book by its content. How many times have you approached a cookbook about middle eastern cuisine and while flipping through the recipes you find the tabbouleh recipe asking you to soak the burghul in warm water? Doesn’t it piss you off? I would judge a book that claims to be authentic by how faithful to the original they were. And don’t get me started on cooking shows! I’m fine if they call it a tabbouleh-inspired recipe. But they should not dare call it the real deal when it’s definitely an adaptation of the original according to the liking of the cook and audience and the availability of ingredients. If it isn’t the tabbouleh I grew up to, it’s not right. 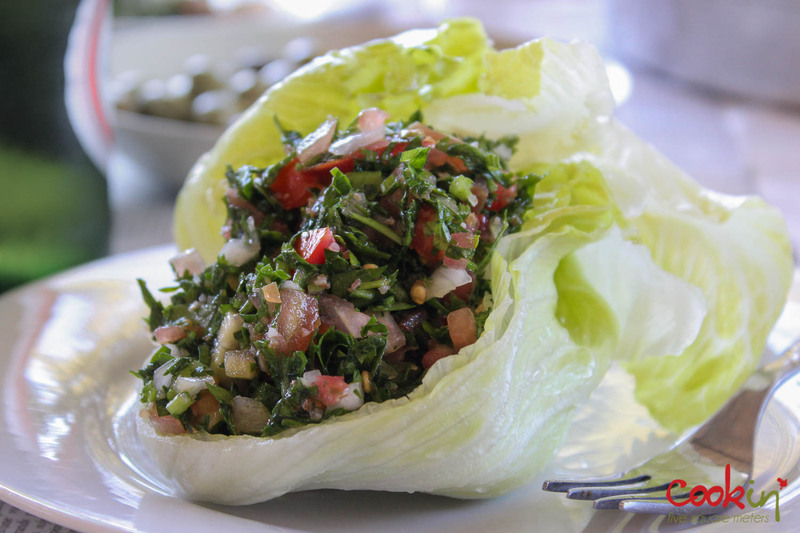 There are, of course, some minor variations according families and geographic locations but tabbouleh is the perfect marriage between parsley, tomatoes, onions and burghul and seasoned with oil, lemon, allspice and salt. Whoever states the original recipe to be otherwise is stepping away from the most commonly known authentic version. 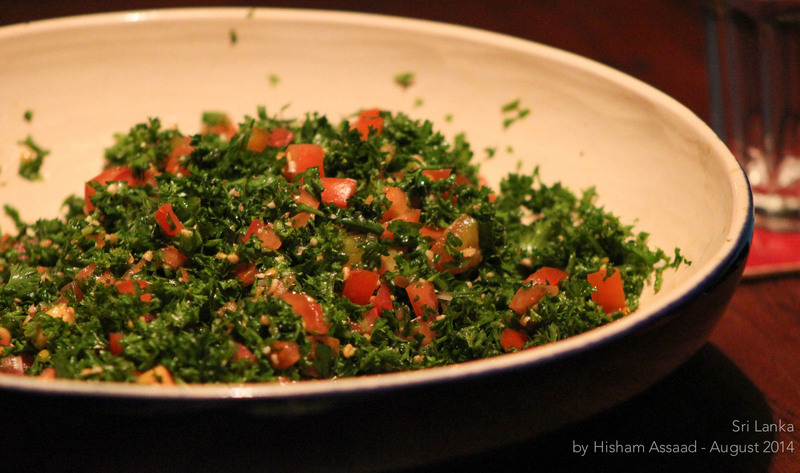 Original tabbouleh is not to be messed with. On another note, back when I was in Sri Lanka, Verity and I arranged a cook-off with the in-house chef, Chef Indika to whoever is at the Ebb & Flow. We went grocery shopping and I had to discover the fresh ingredients available. I was not sure I’d find parsley, especially in the quantities I’d need, and burghul. Tomatoes, onions, lemon and olive oil are much easier to find. Luckily I found my ingredients but with a Sri Lankan twist. Frizzy parsley instead of flat leaf. And burghul, which I thought would be exotic was available in the breakfast section which was softer and absorbed the dressing very quickly. But I couldn’t find allspice so I used a little black pepper. I prefer allspice because I like it’s flavor in tabbouleh. 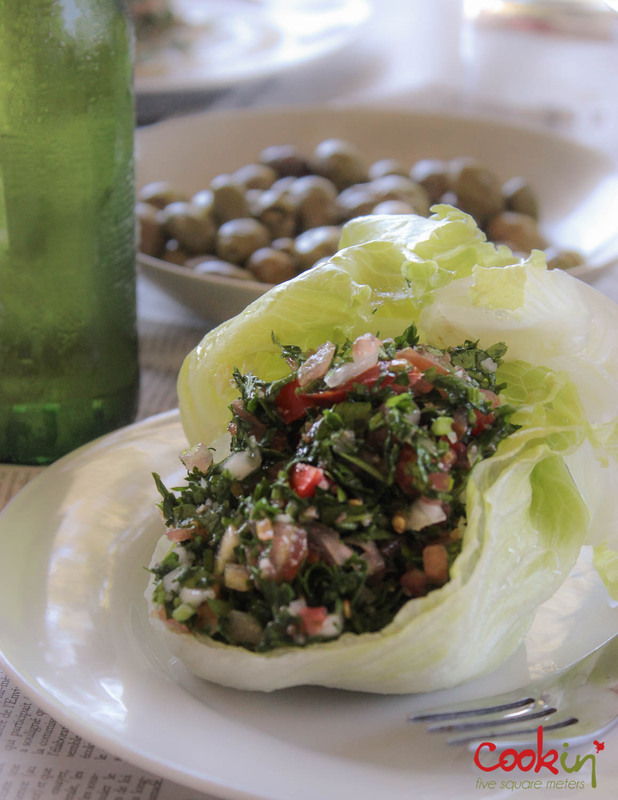 The tabbouleh turned out great and it was loved by the guests. Chef Indika suggested adding dried fish and fish sauce to the salad because that’s how his taste buds felt what the “missing”/accompanying flavor should be. I would be fine it until he starts calling it authentic tabbouleh. I have to note, this was my first ever tabbouleh from start to finish. 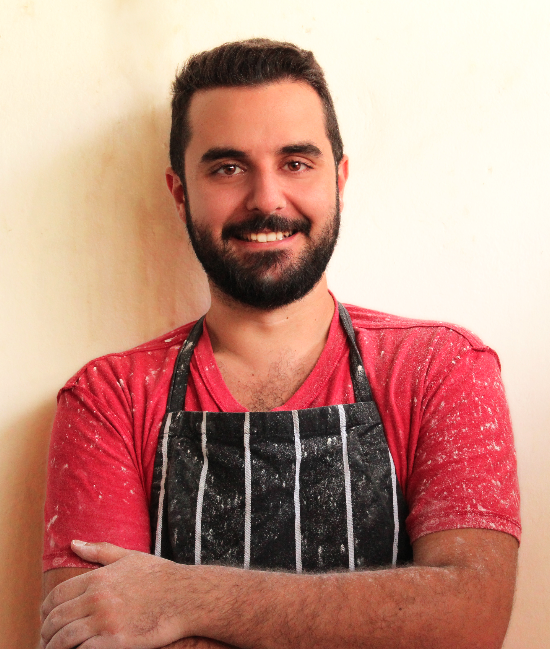 This entry was posted in Dinner, Lebanese, Palestinian, Recipe, Salad, Vegan, Vegetables and tagged burghul, chef, diet, east, eastern, fattouch, fit, health, healthy, jordan, lebanon, lo cal, low cal, low fat, middle, middle easter, no fat, oil, Olive oil, palestine, parsley, parsley salad, raw, recipe, Salad, Sri Lanka, syria, tabboule, tabbouleh, tabbouli, tabole, taboli, taboole, tabooleh, tabouli, tomatoes, Vegetable, vegetables. Bookmark the permalink. Hehehe I love your rant! I shared a similar one a couple of years back. Tabbouleh is sacred to me. You should see in France. The tabbouleh they sell in supermarkets is couscous sometimes bulgur, mint, carrots and raisins and a tiny bit of tomatoes and parsley. It’s a good salad on its own but pleaaaaase it’s NOT tabbouleh!! Exactly! Maybe we should start something about this “pseudo-tabbouleh” from around the world. That’s amazing! 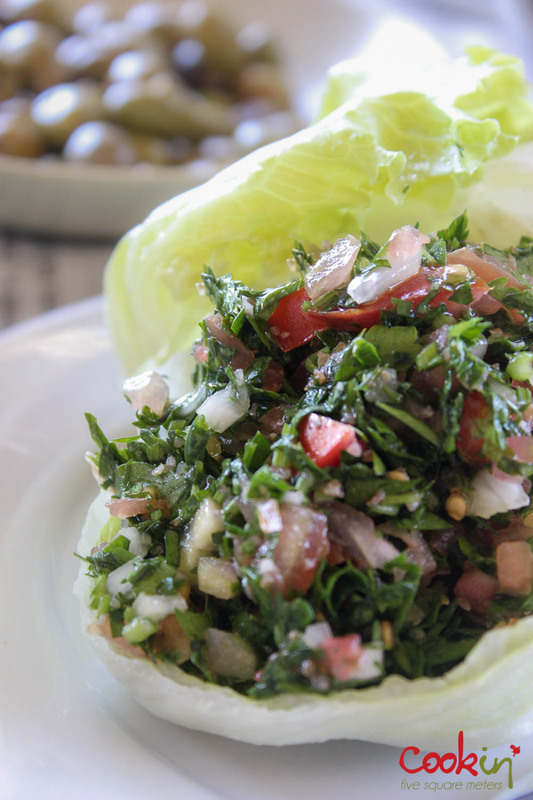 This is the most commonly known and loved tabbouleh. I should see the variations in neighboring countries. The versions of tabbouleh that don’t follow the authentic basic recipe are a disgrace. Dude!!! Where is the fresh mint?!??!!!?! Well, I am no specialist, but this is quite similar to the tabboulehs I’ve eaten in Syria, and it’s the only tabbouleh I like! Christele is right, what they call “tabbouleh” here in France is just a huge joke ; dried out couscous with a touch of this and that… I like a nice couscous salad, but that stuff in the plastic boxes… ugh, gross. I think one of the reasons for the “soak in warm water” instruction is that fine bulghur isn’t readily available everywhere, and coarse bulghur tends to need some kind of softening (I tried using it in the past, and I realized I had to soak it or parboil it or it was just hard, uncooked, and unpleasant, but now I’ve spotted a Turkish shop where I can get fine bulghur, problem solved). Oh and I do love some fresh mint in my tabbouleh, occasionally pomegranate, and I agree with you about using allspice, it works perfectly! That’s great! 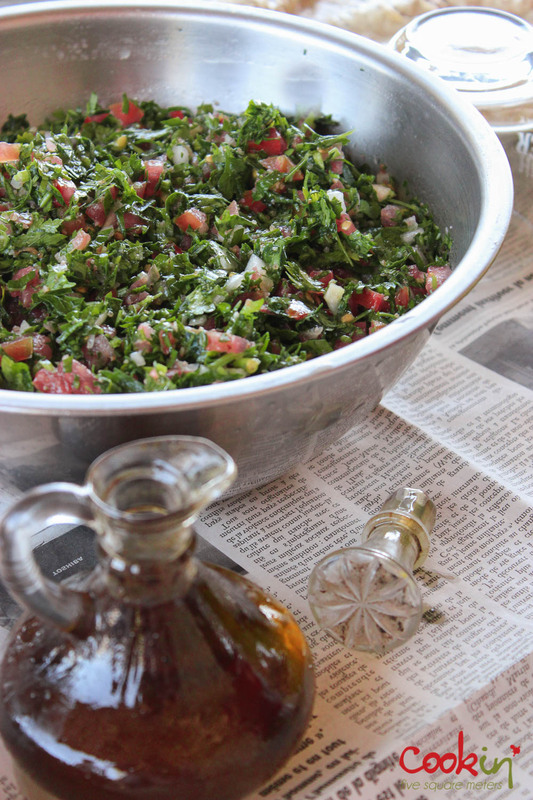 The Syrian tabbouleh is similar I think, so is the Palestinian. I’ll have to do some research on that. But glad you found some burghul in France. Reblogged this on Smart Food Solutions.